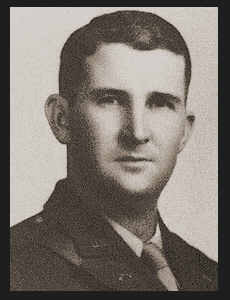 Maj. Raymond McKee, son of Mr. and Mrs. J. R. McKee, graduated from Southwestern, Wheatherford; husband of the former Lorena I. Steincke. Entered Army in Jan., 1941, trained in Ft. Benning, Ga., Camp Wolters, Texas, Camp Robinson, Ark. and Camp Haan, Cal. ; served in England, France, Belgium, Denmark and Germany; served time in Ft. Bliss, Texas. Awarded ETO Ribbon with one Battle Star, Am. Defense Ribbon, Occupation Ribbon.